Episode 83: HAiL PAIMON! (Hereditary) | Drop Da Mic. 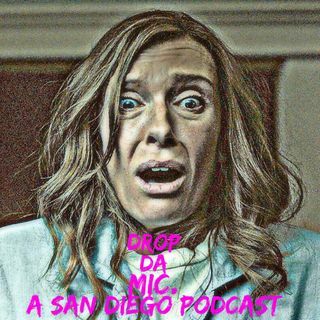 We welcome back Podcast veterans, Alyssa G and Chris Pawlak for episode 84 which centers around the polarizing new psychological horror film, ‘HEREDITARY‘! Sit back and enjoy an in depth deconstruction of the film and witness how we all individually interpreted this unique experience! Happy belated Birthday to both Admiral Atlas, and Chris Pawlak, we love you both. Pop news includes updates for the new ‘HALLOWEEN’, ‘LUKE CAGE’, and more! Exclusive podcast ... See More music by: DJ Onarres. “Birth.Movies.Death presents: The films that influenced Hereditary” interview with Director Ari Aster audio used.